Good Move pay for all sellers costs (inclusive of legal fees, valuations, surveys, EPC’s etc) during the transaction and homeowners also save by not paying extortionate estate agents fees. In return Good Move will offer homeowners in England & Wales 80-85% of the market value for their property and complete in a timescale that benefits their customers. The OFT (Office of Fair Trading) & Trading Standards have recognized the importance of the Quick House Sale industry in the UK, but there are very few companies which are regulated which is generally required to receive a smooth transaction. This is where Good Move have bucked the trend as they are fully regulated under one roof by RICS, NAPB & TPOS. No one in the Sell House Fast sector has the regulation which Good Move has and this is what sets the company apart from the competition. In short homeowners have found their answer in Good Move as they are the best and most trusted quick house sale company in the market. All sales are fully regulated and Good Move is accountable for all of its action given its regulation status. Homeowners may need a fast house sale for a number of reasons (divorce, house chain, move to catchment area, emigration, downsizing, retirement etc) so if you want to discuss your quick house sale requirement with a surveying company with over 45 years experience in the property sector, contact Good Move today on 0800 8021175, or alternatively send an email to hello@goodmove.co.uk. 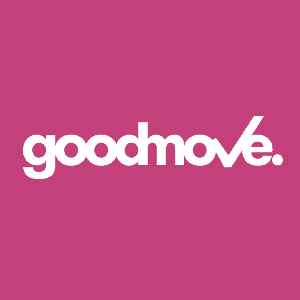 Quick Move have always been the largest property buying company in the UK and to make sure that their business is aligned to their online estate agency, it was felt that Quick Move should rebrand to Good Move. Is Quick Move the same company as Good Move? In short Quick Move is exactly the same company as Good Move, all we have done is rebrand from Quick Move to Good Move. The most regulated Property buyer in the UK (Regulated by the RICS, NAPB & The Property Ombudsman. The only company in the UK which can guarantee a quick move! If you would like to receive a no obligation cash offer please click below, alternatively feel free to contact one of the chartered surveyors at Good Move (formerly Quick Move) on 0800 8021175.